*Limited-Time Offer* Trade in your current hot tub (no matter the condition it is in) and you can receive up to $2,000 towards a brand new Hot Spring Spa's® hot tub! 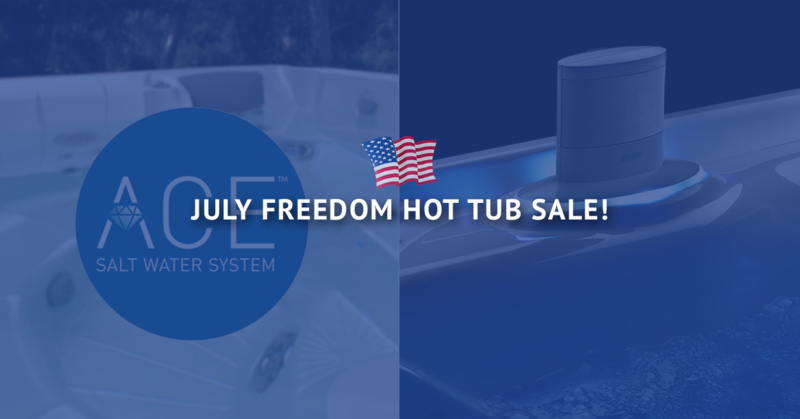 You receive a free ACE salt water system or Bluetooth Sound System when you purchase any new Hot Spring Highlife or Limelight hot tub. Purchase your new hot tub by July 31st and take advantage of this awesome deal. *This is a limited time event–Now through the end of the Month! Can’t combine offers. No previous purchases. Call for details, (402)333-9025 or stop into our showroom located just North of 120th and Center — Next to Sol’s.